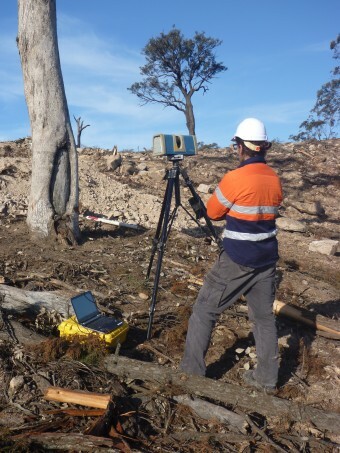 All developers and other land users in Queensland have a duty of care to take “all reasonable and practicable measures” to ensure their activities do not harm Indigenous cultural heritage located in the relevant area. This broad-reaching duty applies across all land tenures, including freehold, and to cultural heritage regardless of whether or not it has been identified or recorded. Significant penalties (up to $1,178,000 for corporations and $117,800 for individuals) apply for harming, excavating, relocating or taking away what a person knows or ought to know is Indigenous cultural heritage. In fact, a person who is found to have harmed cultural heritage recorded on the Aboriginal and Torres Strait Islander cultural heritage register can be imprisoned for up to two years. Equally damaging are stop orders and injunctions that temporarily or permanently restrain persons from undertaking activities reasonably suspected of causing harm to cultural heritage. These and investigations into reported breaches can and have in our experience cause delay and cost blowouts to projects, both big and small. So with all these duties and penalties, what can development proponents and/or contractors do to manage the risks of non-compliance? consider whether a voluntary or mandatory Cultural Heritage Management Plan or either a native title agreement or “another agreement” with an Aboriginal or Torres Strait Islander party is the best way to addresses cultural heritage compliance requirements. The duty of care guidelines are a statutory assessment and compliance tool to enable land users to meet their duty of care. They recognise some activities are less likely to harm cultural heritage than others, having regard to the proposed activity and the nature/extent of past land uses. For example, resurfacing an existing car park in most cases is unlikely to require specific compliance measures to be taken and can proceed under the guidelines. Re-developing an urban block is also unlikely to require particular measures. However, care should be taken where the nature and extent of past land uses mean that cultural heritage may be present on site. This is especially important in rural, semi-rural and areas on the suburban fringe that are earmarked for development. And, of course, if you have any questions or concerns about cultural heritage compliance just give Colin or Ted from our office a call …… they’ll get you through the system! Whether you are planning that ‘dream’ overseas holiday, have a loved one who is losing capacity to make decisions on their own or you are in need of your own ‘peace of mind’, it is important you consider the benefits of obtaining a valid and correctly executed power of attorney. A power of attorney is a legally binding document in which a person (‘the principal’) appoints another person(s) (‘the attorney(s)’) to act on their behalf in making decisions with third parties. The decisions an attorney can make can be either personal (i.e. relating to the care and well-being of the principal such as medical treatment, living arrangements etc) or financial (i.e. selling property, paying bills or administering the principal’s income/bank accounts). In Queensland, powers of attorney are governed by the provisions of the Powers of Attorney Act 1998 (Qld), specifically Chapter 2 and Chapter 3. Broadly speaking, there are two types of power of attorney: a ‘general power of attorney‘ or an ‘enduring power of attorney’. A ‘general power of attorney’ involves the principal appointing an attorney to make financial/personal decisions for a specific time frame (i.e. the principal can elect for the power of attorney to commence immediately or on a certain date/occasion). A common example of where a general power of attorney would be applicable is where the principal may be travelling overseas for a short period and need the attorney to sell property on their behalf, sign legal documentation (such as the Contract of Sale or transfer documentation) and (or) pay any rates/water/electricity or other outstanding accounts. The power of attorney is valid whilst the principal has capacity (a formal term for the ability to make decisions of your own violation) and ceases upon that principal losing capacity. An ‘enduring power of attorney’ follows the same procedure as a general power of attorney but has a key difference. With an enduring power of attorney, the principal can appoint an attorney to make financial decisions (either immediately or upon a certain event such as the principal losing capacity) and personal decisions (commencing on the person losing capacity). However, unlike a general power of attorney, these decision making powers ‘endure’ or continue beyond the principal losing capacity. So you may ask, why register a power of attorney? Whilst there is no obligation to register a power of attorney, you will be required to register the document with the Department of Natural Resources and Mines (‘DNRM’) should it be used to make decisions about land transactions involving the principal (such as selling, leasing, assigning or transferring property). 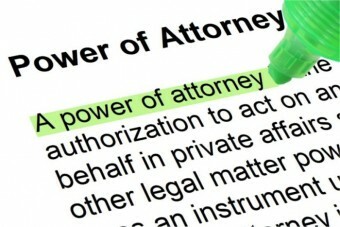 A general power of attorney can be registered on the Powers of Attorney Register provided it complies with Section 161 and Section 162 of the Land Title Act 1994 (Qld) (in relation to execution and witnessing of documentation) and does not explicitly exclude the attorney from dealing with the principal’s property. An enduring power of attorney can also be registered on the Power of Attorney Register if it provides for the attorney to make financial decisions on the principal’s behalf and also does not explicitly exclude the attorney from dealing with the principal’s property. Ensuring the power of attorney is adhered with an official DNRM sticker indicating a 9 digit ‘dealing number’. Whilst the entire process can be completed without legal advice, there is always the possibility of error, such as incorrect witnessing/execution or drafting ambiguity as to when the power of attorney is to commence. For convenience and ensuring your power of attorney is correctly drafted (and/or registered) we strongly recommend you obtain legal advice from one of our friendly solicitors at our Kelvin Grove or Wilston office. We would be more than happy to advise you of your rights and obligations in respect of your power of attorney.